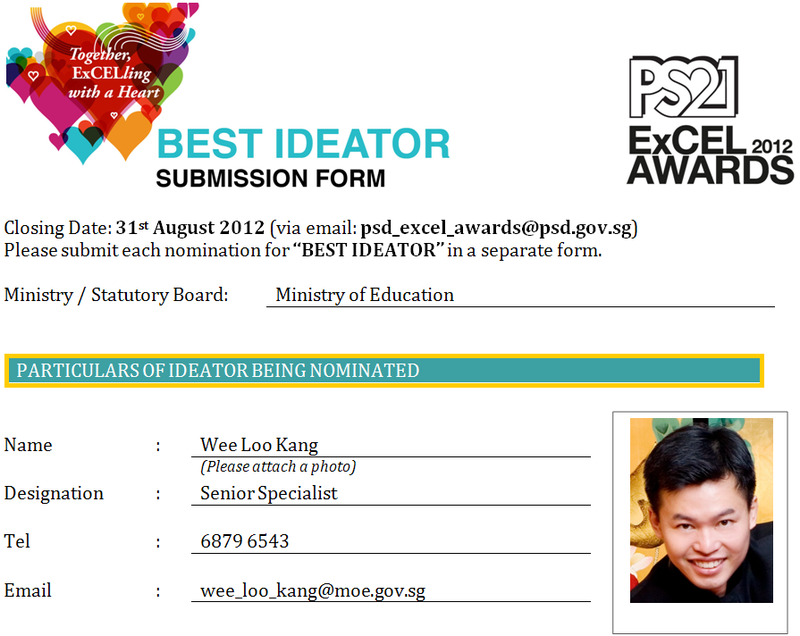 Loo Kang an excellent ideator who constantly seeks to find new ways of improving learning and teaching. He lives the ethos of the teaching profession (MOE, 2010) and deepens his specialized skills and knowledge to create new open source physics computer models to benefit anyone, anywhere in the world, for free. His ideas to leverage on computer models for interactive physics learning is made possible through his contributions with the vision to bring realistic, customized (Wee & Mak, 2009) and research-validated computer models (also known as simulations) into the hands of ordinary students, in any part of the world. To date, he has contributed or adapted more than 65 Physics simulations for use in our local curriculum. His key project “gravity-physics by inquiry” won gold award at the Innergy award 2012 and was recognised for his innovative idea that was a fundamental breakthrough by creating significant value-add previously not possible. His active inquiry lesson packages with computer models has been scaled up in eduLab project with at least 5 schools (River Valley High, Yishun Junior College, Serangoon Junior College, Anderson Junior College and Innova Junior College) in level-wide implementations of inquiry laboratory and flip classroom e-learning. His research suggests students and teachers not only believed in the usefulness of these computer models but there is educationally significant gains (Hake, 1998) even for first time implementations. This has led to future collaboration with principal master teacher (Physics) who will extend Loo Kang’s ideas on more than 65 computer models into the ministry of education academy of Singapore teacher’s Handbook for Teaching Secondary Physics (MOE, 2011, pp. 65-124) Part II: Knowledge of Secondary Physics Curriculum with computer models, a key initiative by the physics subject chapter. Summary (Original)(i) Loo Kang is the best ideator because he lives the ethos of the teaching profession (MOE, 2010) and deepens his specialized skills and knowledge to create new open source physics computer models to benefit anyone for free. His ideas to leverage on computer models for interactive physics learning is made possible through his contributions with the vision to bring realistic, customized (Wee & Mak, 2009) and research-validated computer models (also known as simulations) into the hands of ordinary students, in any part of the world.. His research suggests computer models are appropriate laboratory environments that can provide contextualized experience, (Wee, 2012b) essential for deepening students’ understanding through student-centric interactive learning (Wee, Chew, Goh, Tan, & Lee, 2012). Most importantly, physics comes "alive" and is meaningfully fun to inspire curiosity and imagination. (ii) His key project “gravity-physics by inquiry” won gold award at the Innergy award 2012 and was recognised for his innovative idea that was a fundamental breakthrough by creating significant value-add previously not possible. His active inquiry lesson packages with computer models has been scaled up in eduLab project with at least 5 schools (River Valley High, Yishun Junior College, Serangoon Junior College, Anderson Junior College and Innova Junior College) in level-wide implementations of inquiry laboratory and flip classroom e-learning. His research suggests students and teachers not only believed in the usefulness of these computer models but there is educationally significant gains (Hake, 1998) even for first time implementations. This has led to future collaboration with principal master teacher (Physics) who will extend Loo Kang’s ideas on more than 65 computer models into the ministry of education academy of Singapore teacher’s Handbook for Teaching Secondary Physics (MOE, 2011, pp. 65-124) Part II: Knowledge of Secondary Physics Curriculum with computer models, a key initiative by the physics subject chapter.Contribution: (40%) Loo Kang’s idea contributions are forward looking and concise in the formal MOE meetings for example, notably using Twitter as a back channel to allow everyone to contribute ideas to enrich discussions during meetings. Informally, he actively blogs and twits on Physics education matters especially on those low barriers to adoption tools that can be scale up to schools, getting about 500 visitors all over the world per day. 2. Publishing in Physics education peer-reviewed journals to scale up innovative use of tools in education. 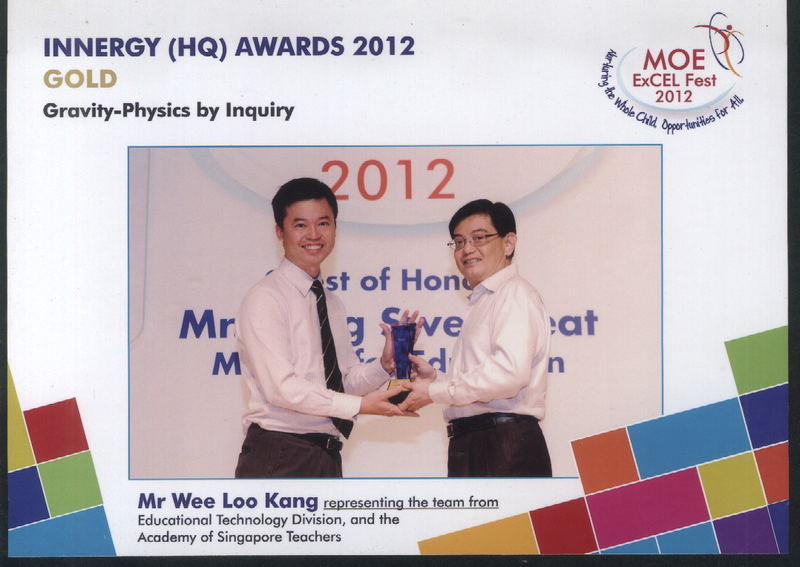 Loo Kang’s contributions is affirmed by Director General Education, Permanent Secretaries and senior management on 03rd May 2012, during an invited PS21 presentation sharing on Gravity-Physics by Inquiry (MOE, 2012a). The audience congratulates him on his passion and excellent idea-implementation on computer models for the betterment of the world. Many of the Open Source Physics Professors thank Loo Kang for his contributions in emails and face to face meeting (Wee, 2010a, 2012a) with face book message (Figure 1) being the most celebrated from Vasudeva Rao Aravind, Professor of Physics from Pennsylvania State University, USA . The best suggestion is the gravity-physics by inquiry, a series of computer models (Figure 2, Figure 3, Figure 4 and Figure 5) to allow the investigative data collection, analysis and visualization of abstract and difficult concepts for students. This suggestion is insightful and innovative especially when considering the financial cost involved in sending space shuttles full of students to Earth’s outer atmosphere, a potentially dangerous journey and what others expensive or free simulations has not done or cannot do yet. Figure 4.One Dimensional Gravitational Model (Duffy & Wee, 2010a) suitable for investigative inquiry learning through data collection, customized with syllabus learning objectives such as gravitational strength g, gravitational potential φ when one or both masses M1 and M2 are present with a test mass m. Superimpose are the mathematical representations, vector presentation of g, based on current Newtonian model of gravity. Figure 5.One Dimension Gravitational Moon-Earth Model (Duffy & Wee, 2010b) suitable for investigative inquiry learning, further customized to allow the experiencing of an Advanced Level examination question June 87 /II/8. Data are based on real values where students can play and experience physics otherwise difficult to related to examination question. The experimentation is high as Loo Kang need to self direct (Gibbons, 2002) his own learning to master Java programming language, research on suitable pedagogy of inquiry (Christian & Esquembre, 2007; Jackson, Dukerich, & Hestenes, 2008; McDermott, Shaffer, & Rosenquist, 1995; Scherr, 2003; Wee, Lee, & Goh, 2011; C. E. Wieman, Adams, Loeblein, & Perkins, 2010; Carl E. Wieman, Adams, & Perkins, 2008) suited for use with computer models (Chee, Tan, Tan, & Jan, 2009; Christian & Esquembre, 2007; Hwang & Esquembre, 2003) and appropriate user interface design (Adams et al., 2008) while collaborating with computational physicists from around the world. The risk-taking is also high as much of the implementation of the suggestion was done in his free time since 2006, in a largely ground-up idea without structured and formalized top-down support. It is only in 2012 that the fruits of his suggestion was materialized in a National Research Fund (NRF) & MOE funded NRF2011-eduLab 001 Java Simulation Design for Teaching and Learning project (MOE, 2012b; Wee, 2010b) with him as a co Principal Investigator and an INNERGY GOLD AWARD 2012 win for gravity-physics by inquiry (MOE, 2012a) with him as the idea leader. The suggestion improve existing process of physics education schooling practices by creating computer models as tools for active scientific inquiry and interactive engagement (Hake, 1998) that improves the research pre-post test scores with an Cohen’s effect size of about 0.3 (educational significant) even for first time implementation by the 25 teachers in the 5 schools. The benefits are especially heightened when comparing to traditional word problem solving dominated lecture and tutorial system in most classrooms in the pre-universities centers especially when teaching gravity concepts because of heigthened difficulties to collect astromonical data from Singapore using telescopes at night. Loo Kang’s models are free of charge and presents low cost barriers to adoption. His Gravity-Physics by Inquiry Lesson Package (Figure 6) has been used by about 1000 students and 25 teachers, across 5 schools in Singapore. (Table 1) Loo Kang’s research his high returns on investments especially when there has been no funding in his creation of a suite of 65 computer models which can be used for the O-Level and A-Level Physics. 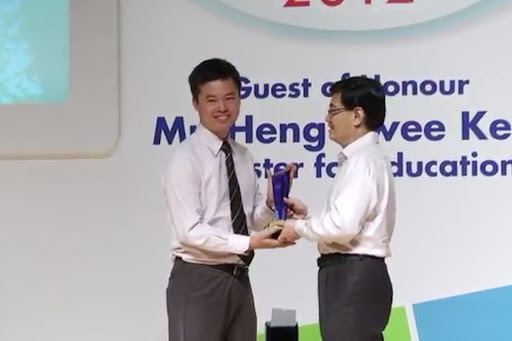 He is working on systematically impacting the all 100+ secondary schools through incorporating computer models into the Singapore teacher’s Handbook for Teaching Secondary Physics (MOE, 2011, pp. 65-124) Part II: Knowledge of Secondary Physics Curriculum. Impact on Singapore Students Loo Kang’s models encourages cognitive apprenticeship (Chee, 1995; Collins, Brown, & Newman, 1987) by encouraging students to function like scientists (Jan, Chee, & Tan, 2010) in their guided inquiry learning. His work allows students to make sense of large physical systems (such as Solar System Model (Figure 2), Earth and Satellite Model (Figure 3), Two Mass Model science laboratory toolkit (Figure 4) and Moon-Earth Model (Figure 5)), through computer visualization.Impact on Singapore Teachers Loo Kang’s work presents an innovative approach to the teaching of Physics as an alternative to the traditional ‘drill and practice’ approach. 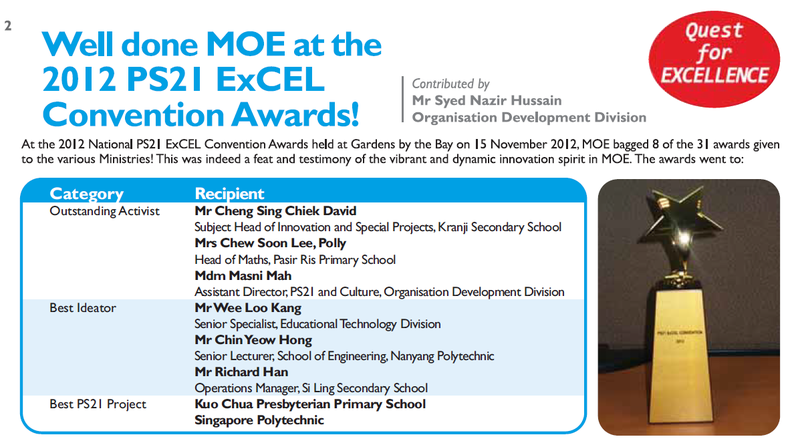 His innovative approach is aligned to MOE’s strategic focus in preparing learners for the 21st Century (Plomp, 2011). His work has received commendation from MOE senior management and they have encouraged him to continue creating models to help ordinary teachers be more effective in their teaching of Physics. He has conducted many workshops and conference presentations to help teachers adopt the meaningful use of computer models in physics education. His significant contribution in the professional development of the Physics fraternity can be seen in a series of feature articles on his work. For example, MOE ASPIRE magazine (May 2012) (Figure 7), Lianhe Zaobao newspaper feature on Open Source Physics (Figure 8) and INNERGY GOLD award 2012 presented by Minister of Education, Heng Swee Keat (Figure 9). Impact on Singapore’s and the International Physics Community Loo Kang has made significant contribution to Physics education in Singapore and globally. This is evident from his dissemination of his lesson packages and his active engagement on social media. (Table 1) He also regularly contributes to the digital libraries at Open Source Physics and NTNU Java Virtual Lab and 3 scholarly articles in Physics Education Journal. 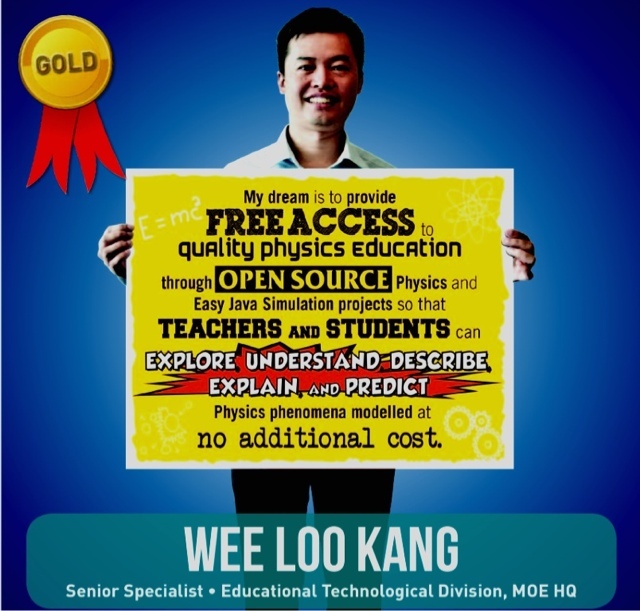 Educators and physicists from Singapore and worldwide also benefit from Loo Kang’s many re-purposed from simulation to animation on Wikipedia (Figure 10). His site (http://commons.wikimedia.org/wiki/Special:ListFiles/Lookang) provides a sense of the extent and scale of the impact of his work. As testimony to Loo Kang’s impact, he has received international recognition for his work. A German video company, House of Documentary Films, requested Loo Kang’s permission to use his work for a documentary film about the "Double-slit experiment", which Clauss Jönsson has performed in 1961 at the University of Tuebingen (Figure 11). 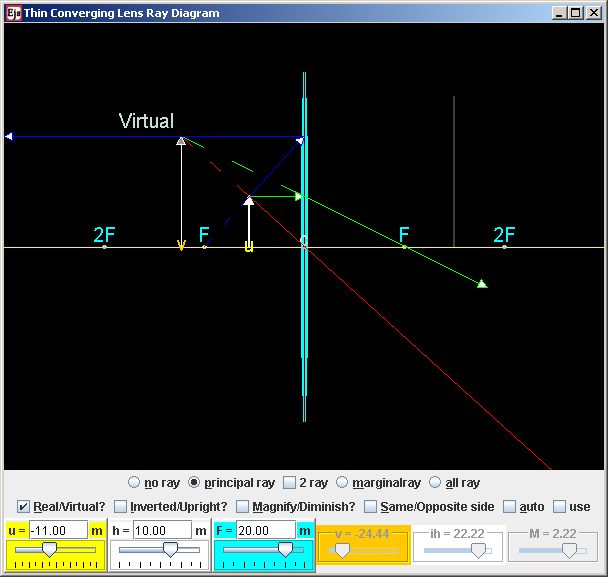 Figure 14a.2 recent computer models (left) thin lens ray diagram requested by RGS teachers and requested by a beginning teacher on Facebook requesting for help from the instructional programme support group (physics) IPSG facebook page that resulted in a computer model about phase difference(right). http://weelookang.blogspot.sg/ has the full range of models. Figure 14b.2 recent computer models (left) thin lens ray diagram requested by RGS teachers and requested by a beginning teacher on Facebook requesting for help from the instructional programme support group (physics) IPSG facebook page that resulted in a computer model about phase difference(right). http://weelookang.blogspot.sg/ has the full range of models. 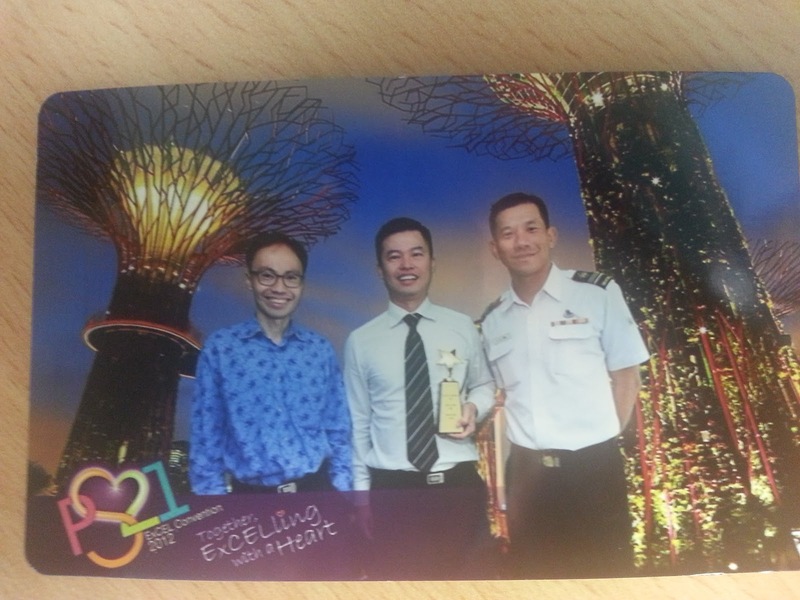 Always a champion for authentic learning, Loo Kang was in the Singapore’s media limelight for his analysis of a high profile accident this year. Applying his modeling techniques, he presented an analysis of the speed of the Ferrari 599 GTO which crashed into a Taxi, causing 3 dead, 2 injured at Bugis S'pore on 12May2012. His analysis was showcased in the mass media, for example, Asiaone Motoring,Asiaone News , Stomp (Figure 12) and My Paper (Figure 13). His approach of applying evidence-based analysis to real-life events won accolades by students, teachers and NIE academics as it encouraged students to do likewise. He is always willing to help teachers to create better tools for physics education (Figure 14).Partnership with International Professional Associations He is a member of American Association of Physics Teacher (APPT), GIREP (International Research Group on Physics Teaching) and Multimedia in Physics Teaching and Learning (MPTL) where he actively contributes through the Open Source Physics Group. Below are his conference presentations and curriculum materials on Open Source Physics. Wee, L. K. (2010, 20 July). 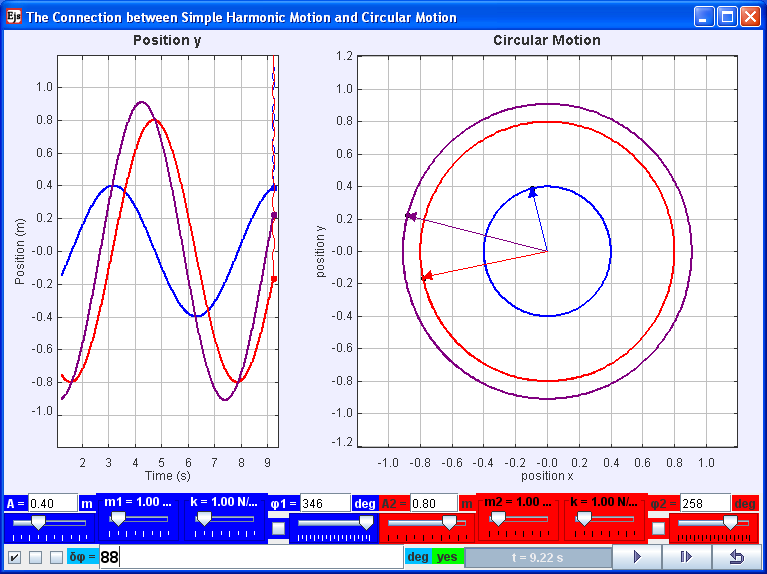 Physics Educators as Designers of Simulation using Easy Java Simulation. Paper presented at the American Association of Physics Teachers National Meeting Conference: 2010 Summer Meeting, Portland, Oregon, USA. He has also received awards for his ideas and service rendered to the public service. Table 1: Benefits of gravity-physics inquiry lesson package showing number of students, teachers and schools in Singapore, contributions to physics education and the world through Wikipedia under the timeline since 2006 to beyond 2014. Depicted in Table 1: the significant benefits to date for gravity-physics by inquiry lesson package is estimated at 1000 students, 25 teachers facilitating the inquiry pedagogy with computer models in 5 eduLab schools with contributions to digital libraries at Open Source Physics and NTNU Java Virtual Lab and 2 scholarly articles in Physics Education Journal. Public also get to also benefit from his re-purposed animation to support the world’s most popular encyclopedia Wikipedia with millions of users all over the world. The other significant impact would be to allow students to take on the role of scientists (Jan, Chee, & Tan, 2010) to conduct their own guided inquiry learning for efficient use of curriculum time and promoting self direction as life long learners (MOE, 2009). His solutions substantially address the challenge of allowing students to make sense of and ‘bring’ very large gravity systems such as Solar System Model (Figure 2), Earth and Satellite Model (Figure 3), Two Mass Model science laboratory toolkit (Figure 4) and Moon-Earth Model (Figure 5), into the hands of ordinary students, in any classroom, in any part of the world. Adams, W., Reid, S., LeMaster, R., McKagan, S., Perkins, K., Dubson, M., & Wieman, C. (2008). A Study of Educational Simulations Part II--Interface Design. Journal of Interactive Learning Research, 19(4), 551-577. Chee, Y. S. (1995). Cognitive Apprenticeship and Its Application to the Teaching of Smalltalk in a Multimedia Interactive Learning Environment. Instructional Science, 23(1-3), 133-161. Chee, Y. S., Tan, D. K. C., Tan, E. M., & Jan, M. F. (2009, 24 to 26 November). Learning Chemistry with the game “Legends of Alkhimia”: Pedagogical and Epistemic Bases of Design-for-Learning and the Challenges of Boundary Crossing. Paper presented at the Science Education: Shared Issues, Common Future Proceedings of International Science Education Conference 2009, National Institute of Education, Singapore. Christian, W., & Esquembre, F. (2007). Modeling Physics with Easy Java Simulations. Physics Teacher, 45(8), 475-480. Collins, A., Brown, J., & Newman, S. (1987). Cognitive Apprenticeship: Teaching the Craft of Reading, Writing, and Mathematics. Technical Report No. 403. Gibbons, M. (2002). The Self-Directed Learning Handbook: Challenging Adolescent Students to Excel. The Jossey-Bass Education Series. Jan, M., Chee, Y. S., & Tan, E. M. (2010). Changing Science Classroom Discourse toward Doing Science: The Design of a Game-based Learning Curriculum. Paper presented at the Proceedings of the 18th International Conference on Computers in Education, Putrajaya, Malaysia. Plomp, T. (2011, June 12 – 14, 2011). Preparing Education for the Information Society: Curricular and Implementation Challenges. Paper presented at the International Symposium on Educational Reform, East China Normal University, Shanghai, China. Wee, L. K. (2010a, July 17-21). AAPT 2010 Conference Presentation:Physics Educators as Designers of Simulations. Paper presented at the 2012 AAPT Summer Meeting, Portland Oregon USA. Wee, L. K., Chew, C., Goh, G. H., Tan, S., & Lee, T. L. (2012). Using Tracker as a pedagogical tool for understanding projectile motion. Physics Education, 47(4), 448.
free photo shot by the organizers with Walter, lookang and chong ann. I also like to thank Latha setting up my nomination, Yew Meng and Seau Yoon for vetting, Victor of the impact section beefing up. And Ms Chan for setting a path way for me to ideate and impact education and Dr Cheah for his words about "motivating people by aligning their objectives with the goals of the organization". I truly believe in this fundamental idea of organizational excellence through Management by Objectives approach so i acted on it using Easy Java Simulation and Tracker. My advise is go forward and better education the way you see fit, instead of doing organizational or other peoples' project, you have to own it for it to work, you have to believe in what you do, or else it will never work out. Remember that. Best ideator - to recognise individuals who have made significant contributions in the areas of ideation and suggestions for improvement. 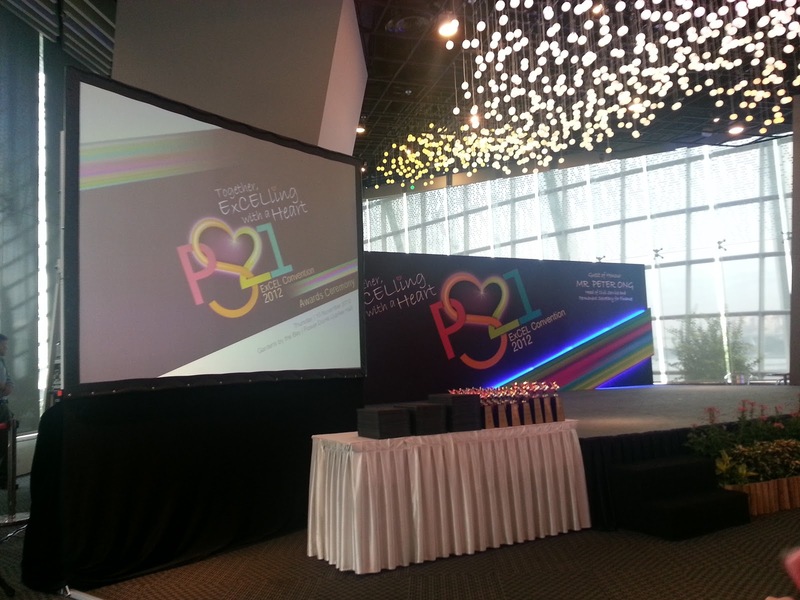 A total of 16 nominees were selected for the award. 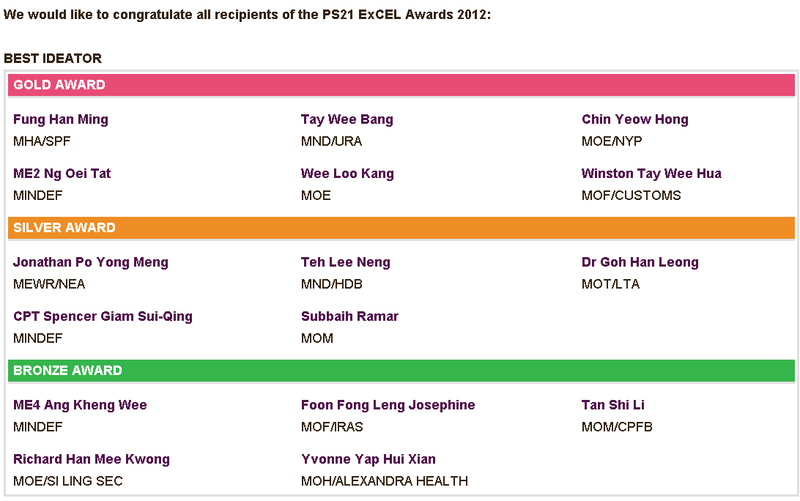 These awards will be presented to when they attend the PS21 ExCEL Awards Ceremony on 15th November 2012, 10.00am at Gardens by the Bay, Flower Dome Function Space. 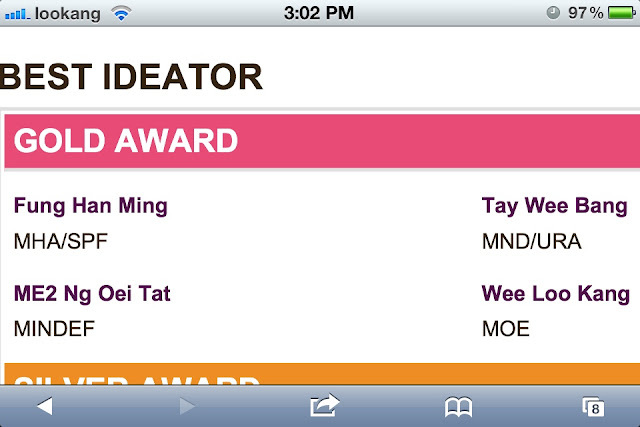 The Awards Secretariat will contact award recipients separately regarding the administrative details. "My dream is to provide quality physics education through open source physics so that teachers and students can explore, understand, describe, explain and predict physics phenomena modelled at no additional cost." 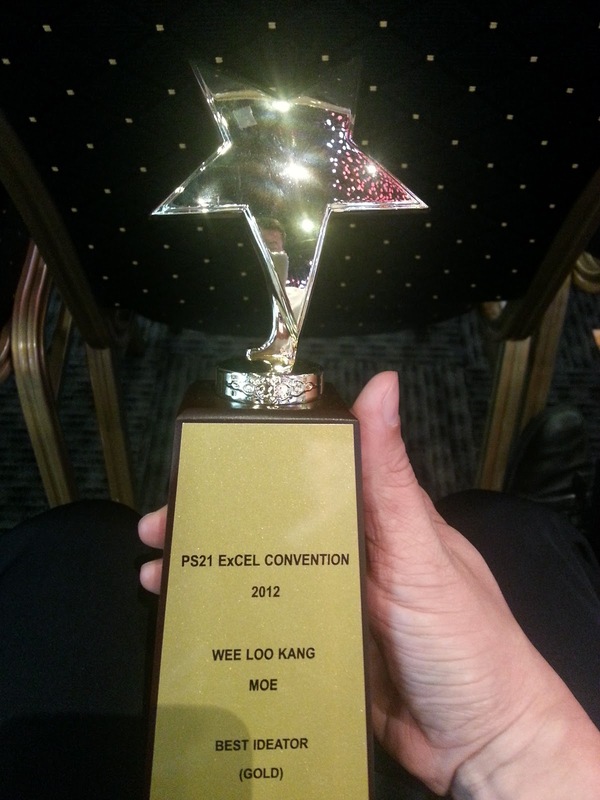 Congratulations on winning the PS21 ExCEL Convention Best Ideator (Gold) Award. We would like to take this opportunity to not only further recognise your efforts but also to seek your help to inspire others on the journey towards innovation and excellence in public service. We plan to do this through specially designed posters which will be displayed in MOE HQ. Please find attached the draft version of the poster which is still a work in progress. These posters will require your input in the following areas. Please share your thoughts/views to the following question in no more than 100 words. Please note that we would be summarising/paraphrasing where necessary to cater to space available. 1. Where do you normally get inspiration for your ideas? OR What do you do when you need ideas to solve a problem? Take the idea of free access to quality physics education and the way people learn by doing, the Open Source Physics and Easy Java Simulation projects provides ordinary mortals like teachers and students, a simple way to design their own computational physics simulation-model. Therefore, anyone can freely access, explore, understand, describe, explain, and predict these physics phenomena modeled. This idea is my life where I think, dream and live Open Source Physics through remixing and re-purposing simulations to meet teachers' and students' learning needs at no additional cost plus creative licensing so that anyone can change the source codes legally. Please submit your response to me by 16 Nov 2012 (Friday). Based on the attached draft poster, we would require a good quality photo of you. We will be arranging for a photo shoot session some time this month and will inform you once the details are confirmed. more posters and greetings from the PS21 and Culture Unit team! 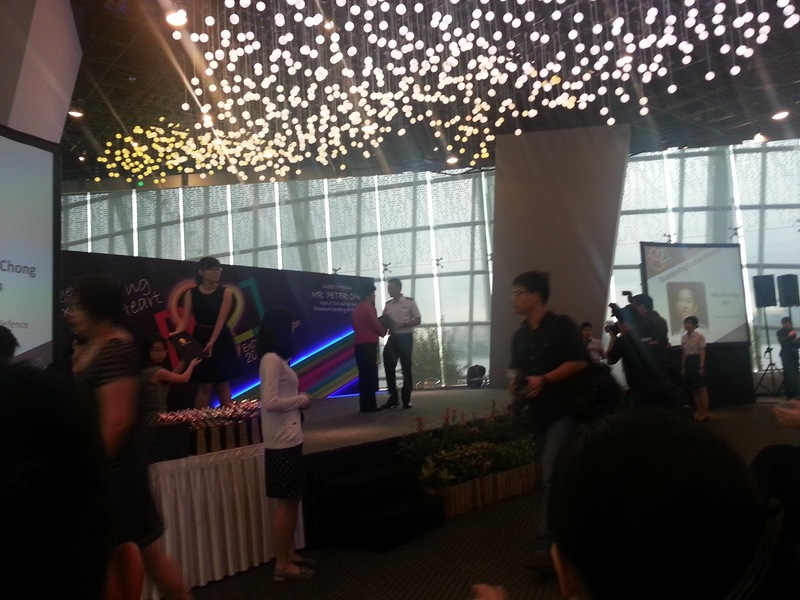 sounds like more posters A3 for ETD, A2 for lookang. PS21 and Culture Unit team from MOE! "My dream is to provide quality physics education through open source physics so that teachers and students can explore, understand, describe, explain and predict physics phenomena at no additional cost." 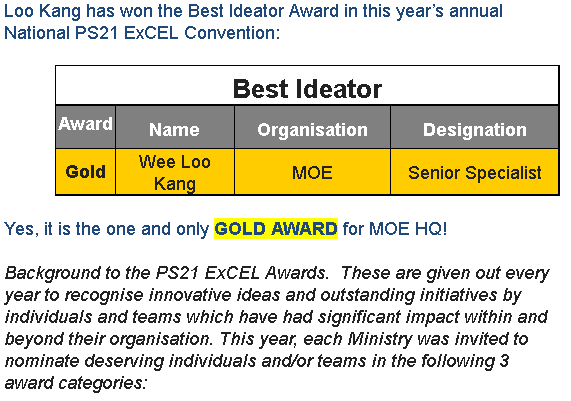 To celebrate your win of the Best Ideator Award at the PS21 ExCEL Convention 2012, we have earlier informed you that we would like to feature you in a poster to be displayed in the lifts at MOE HQ. The purpose of these posters is to not only recognise your efforts but also to serve as an inspiration for others on the journey towards innovation and excellence in public service. We would like to thank you for contributing the quotes as well as taking the time off to come down for the photo shoot session. We would like your division to recognise your efforts in innovation too! 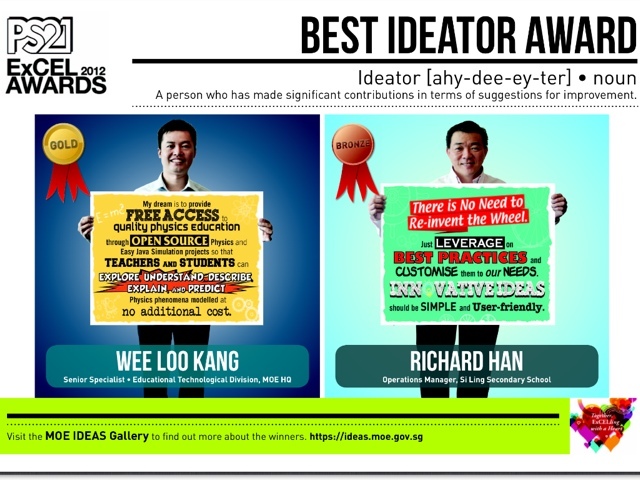 Hence we are happy to inform you that in addition to displaying the posters at MOE HQ lifts, we have printed an A3 size of the Best Ideator Award poster for your division to display. cc. Mr Seah Hai Seng, we would like to seek your assistance as PS21 Coordinator to display the poster at a prominent area at the division level. Also we would like you to have a copy of the poster for your keepsake. Therefore we have printed an A2 version of it. 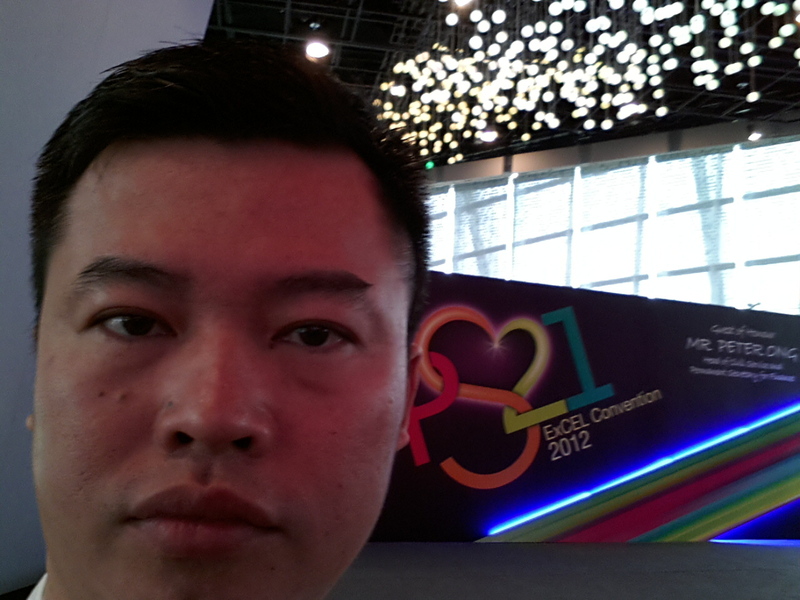 Please note that both the A3 and A2 posters are ready and we would be sending it to you and Mr Seah soon. Thank you very much and once again our heartiest congratulations! well done MOE at 2012 PS21 ExCEL Convention Awards!, Page 2 in ASPIRE Newsletter - Issue 18 Jan 2013. Best Ideator news.Thanks to Syed for the article reporting. 8 of the 31 awards for MOE. 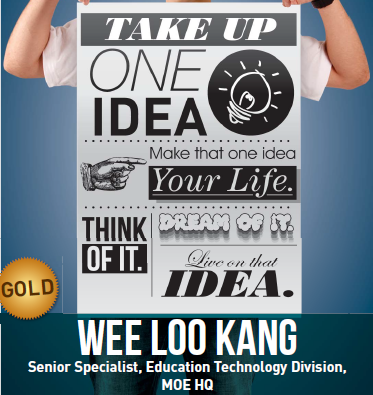 PS21 Best Ideator, Wee Loo Kang, spent five years to develop an award-winning project to make physics more engaging for students. Keen to create productive and interactive learning tools, Mr Wee, now Senior Specialist at the Ministry of Education (MOE)’s headquarters, began to explore building realistic and well-designed computer simulations. To do this, he tapped the Open Source Physics research community that shares free curriculum resources, allowing users to modify and redistribute source codes. He didn’t have the Java programming skills at first but that didn’t deter him. Mr Wee spent hours of his free time mastering Java with the help of online tutorials and by posting questions to professors across the globe. His key project Gravity-Physics by Inquiry, which was developed over five years on his own time, won MOE’s top innovation award in 2012. The judges described it as “a fundamental breakthrough in how physics was taught”. For example, in one of the simulation exercises, students are virtually despatched to the Earth’s moon to launch a rocket into space to calculate (and hence experience) the minimum kinetic energy required to escape from the moon’s and Earth’s gravity pull. Word of Mr Wee’s interactive and engaging teaching methods spread widely. Teachers from five other junior colleges now use his lessons which are shared freely on his blog. 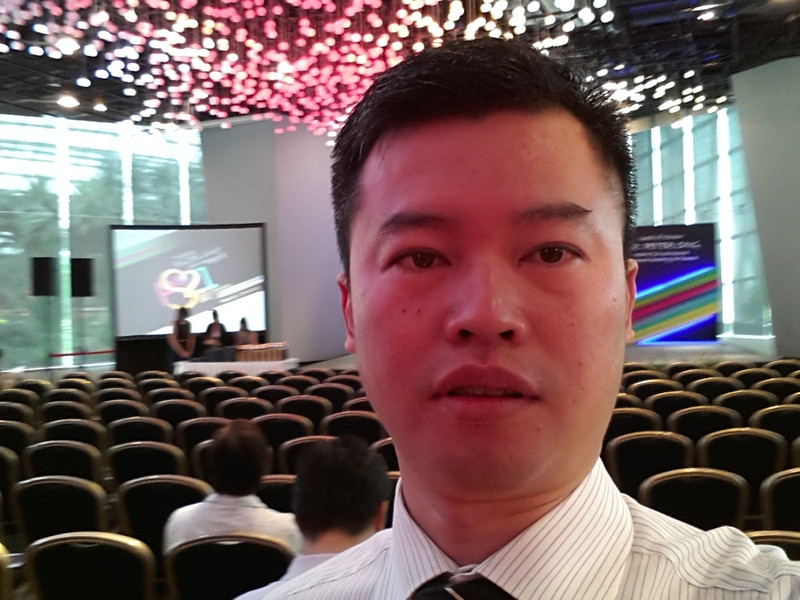 So far, Mr Wee has created and adapted more than 65 physics simulations for the Singapore physics curriculum – leading the shift from the standard “drill and practise” approach to an inquiry-based model. Now, the ministry is extending his ideas to the new Teachers’ Handbook for Teaching Secondary Physics. 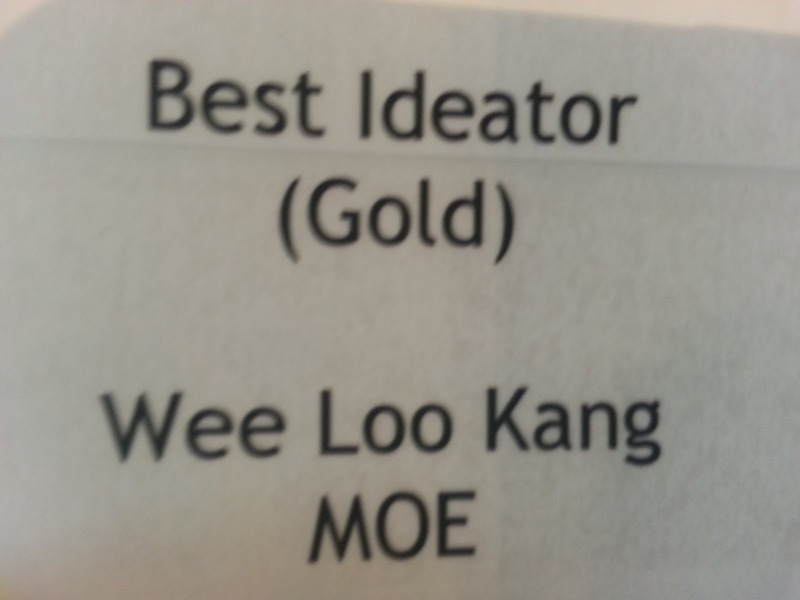 So if Singapore were to have a surge in the number of physicists, we might have to thank Wee Loo Kang for it.